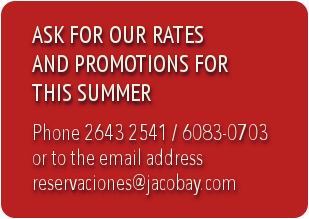 Jaco Bay Condo is a great alternative for small and mid-size groups to organize their business meeting or incentive confab in Costa Rica. Inspire your colleagues and employees at a tropical environment setting along with modern lifestyle convenience. Let us assist you on handling all aspects and details to ensure the success of your business event. From accommodation arrangements, food and beverage catering or audio-visual equipment, up to onsite assistance for orchestrating activities and transportation services for a successful and memorable event. Our Pent-House facilities can comfortably accommodate events for up to 80 people where the enticing lights of Jaco Beach and the ocean views will definitely provide an exclusive and appealing ambiance. Additional sites such as outdoor decks or beach locations are also available for larger or smaller groups. For additional information and services please Contact Us for details. Jaco Costa Rica Beach – Jaco Bay Condo | Jaco Beach – Jaco | Jaco Beach Costa Rica – Jaco Beach Costa Rica Location | Jaco Beach Costa Rica – Jaco Beach Costa Rica Photo Gallery | Wedding in Costa Rica – Wedding Planner by Jaco Beach Costa Rica | Special Events in Costa Rica – Jaco Beach Costa Rica | Meeting & Incentives – Jaco Bay | Special Promotions –Jaco| Community – Jaco Beach Costa Rica | Travel Links | .